Search Results for "snare drum"
Drummer. Defocus. Close-up on a hi-hat & drum kit aggressively played by a unsharp male. the drummer plays active rhytm sticks on a tom bass drum, home lesson training. slowmotion. the drummer plays active rhytm sticks on a tom bass drum, home lesson training. A drummer plays some fills. A drummer sets down drumsticks and walks away from drum set. A drummer plays a drum beat with some fills mixed in. 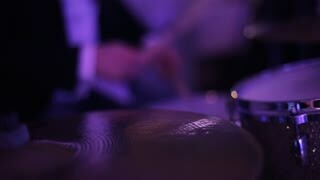 Close up of a drummer playing on a snare. A drummer hitting toms, playing a beat. A drummer plays a fast drum beat. A drummer playing fills quickly. 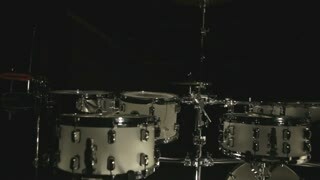 A drummer plays a fast snare beat. Rock drummer plays music on concert. Close up. Musician playing snare drum while woman dances in background. 1970s: Drummer keeps time on cymbal; saxophone player adjusts music on stand; drummer plays snare drum. A snare drummer does a marching snare drum roll. Isolated over a white background.